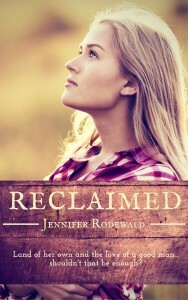 Reclaimed by Jennifer Rodewald is an amazing read. Only the second novel by this author, but I am sure it will not be long before Jennifer Rodewald is a household name. Following the death of her father, Suzanna moves into his ranch. She is still mourning the death of her husband Jason two years earlier. Suzanna is afraid to love because to love is to open oneself up to potential loss and pain. Paul is Suzanna’s nearest neighbour, a mile or so down the road. He views her as an injured puppy who needs healing. He wants to know what in her past has hurt her so badly that she shrinks from company. Suzanna will ‘snap’ out of fear, which doesn’t win her friends easily. Reclaimed deals with the huge themes of love and pain. To love risks pain, but to live in isolation and guard ones heart also causes pain. Paul comes from a loving family, all of whom live nearby. Suzanna grew up in a dysfunctional family which shattered when she reached eighteen. Her family is a source of pain. Paul’s is a source of love. Can Suzanna ever experience a love like theirs? The novel deals with faith. Paul’s family have a strong faith and a living relationship with God. Jason through his cancer came to know God. Suzanna was a ‘preacher’s kid’ who knew all about God, but as Paul points out “that’s not the same as knowing Him”. When one knows God and does life out of a relationship with Him, it does not prevent tough times, but in those times, God walks alongside His children. Jennifer Rodewald in Reclaimed demonstrates the different approaches to life of the characters who have religion versus the characters who have relationship. Reclaimed shows the importance of having friends. They can be male or female, young or old. Friends will not desert you and will help you through life. In the novel Jennifer Rodewald portrays a wonderful friendship between Suzanna and twelve year old Kelsey showing that friendship can cross age barriers. There are some delightful and realistic characters within the novel, and I was sad to leave them behind as the novel closed. Who would not want to be a member of Paul’s family? And how could one not feel empathy for Suzanna? She had been through so much grief in such a short time. People handle death and grief differently, as revealed in the novel. Christian characters face death with sadness but also with a hope of heaven. Characters who only know of God face death with fear, anger and resentment, as well as sadness. Suzanna, as the novel starts feels anger towards God and abandonment by God. Will she ever know Him and His love? 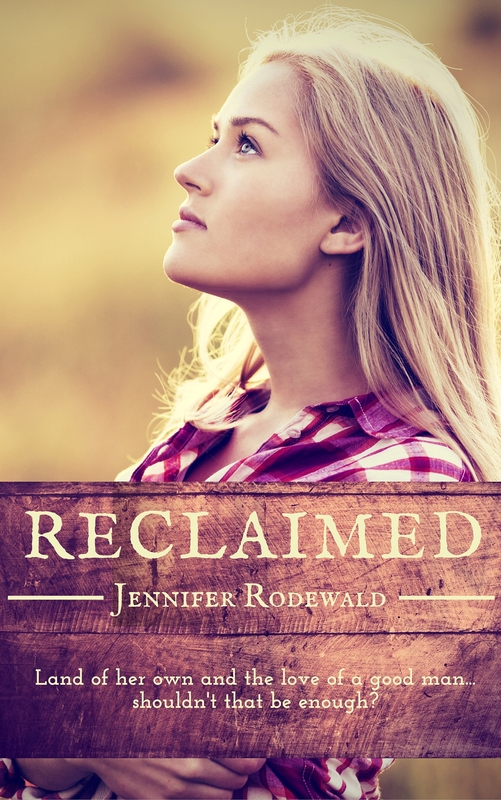 Within Reclaimed Jennifer Rodewald shows the need everyone has for God. This is not done in a ‘preachy’ way, but in a way designed to make the reader think and question – do I know God personally? I thoroughly enjoyed Reclaimed, and have every intention of reading Jennifer Rodewald’s debut novel Blue Columbine, whilst waiting for the release of The Carpenter’s Daughter in 2016.